Beginning the grazing season with pasture productivity and longevity in mind, sets the stage for a more productive grazing season. Although it is tempting to turn animals out as soon as possible after a long winter, holding them back to let the pastures become fully established will lead to more production over the grazing season. This is a great opportunity to utilize the grazing rule of thumb, “Take Half, Leave Half” to maximize plant health and re-growth. 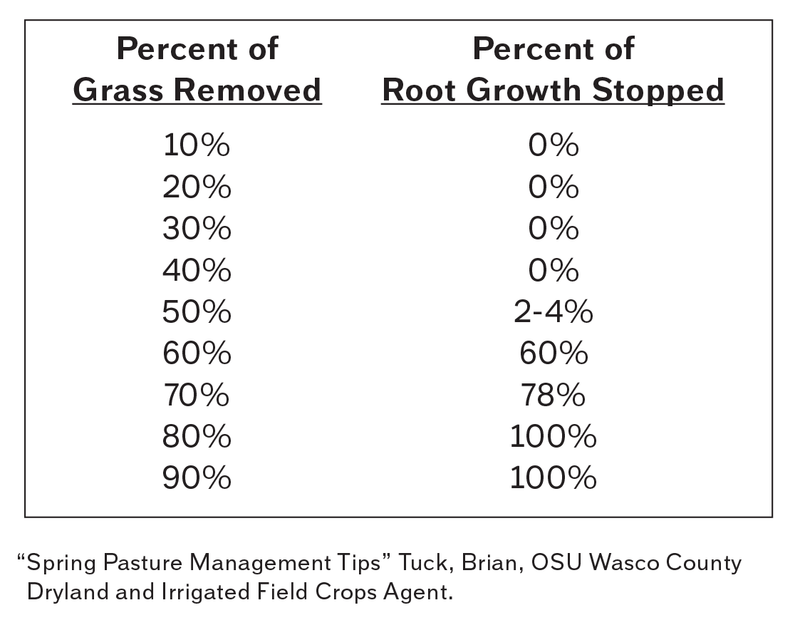 Reducing the plant material by more than 50% can start to greatly diminish root growth activity and pasture stand longevity. Just as it is important to not graze too soon, producers should manage pastures as the spring flush occurs to prevent overgrowth. As pasture plants mature, the ligneous, indigestible portion of the plant increases making it less beneficial or palatable to the animals. Grazing to keep forage in the pre-heading stage is key to maximizing digestibility. 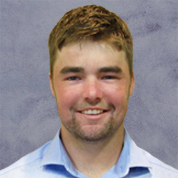 If stocking densities do not have enough animals to keep ahead of the spring growth, utilizing mowers or making hay on those fast growing pastures are great ways to increase pasture quality and minimize forage waste. Bloat occurs when ruminants are introduced to lush, legume rich pastures. The gasses created by the digestion of the protein rich leaves of the legumes become trapped in foam and are unable to escape through eructation (burping).2 Many times the symptoms of bloat are quite obviously noticed as a bulging on the left side of the animal (caused by a distended rumen). Other symptoms include signs of distress, animals off-feed, and possible heavy or strained breathing. There are a number of anti-foaming agents on the market that can be helpful when symptoms of bloat are noticed. 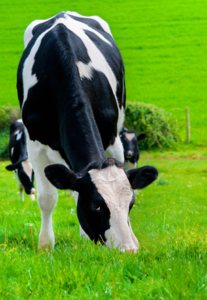 Poloxalene can work well for conventional dairies while many organic producers find vegetable oils given orally are helpful in reducing the foaming that causes bloat. In some severe cases, veterinary intervention is needed to relieve the bloat. Offer free-choice, dry, grassy hay to create a rumen fill of dry, bloat resistant feed before turning animals out. This will also fill animals up causing them to limit their intake of the fresh pasture. Wait until mid to late morning when the dew has evaporated, before introducing animals to graze. High levels of moisture, specifically with legumes in the pasture, increase the risk of bloat. Grass tetany is caused by a clinical deficiency in magnesium. Often times, the soils are not necessarily deficient themselves, but because of cool soil temperatures and fast plant growth rates, minerals are not taken up into the plant. Therefore, magnesium is not available for the animal to consume. High levels of potassium and nitrogen in soils will also negatively impact the uptake of magnesium into the pasture plants.2 This makes fields with heavy manure application high risk grazing areas. Magnesium is critical for nerve, muscle and brain function. Because of this, the first signs of grass tetany are often staggering, trouble walking, nervousness, and eventually collapse, coma, and death if animals are left untreated. Aside from giving routine daily magnesium supplementation with a high quality mineral supplement, animals that are exhibiting clinical symptoms should be seen by a veterinarian and may need intravenous (IV) treatment. Acting quickly at the first sign of symptoms is crucial for recovery. Grass Tetany is easy to prevent. Because the condition is caused by a low level of magnesium in the animal, the prevention is simply to feed more magnesium. Crystal Creek® Pasture Mineral has elevated levels of magnesium when compared to the 2:1 Mineral (10% vs. 5%). Working with a Crystal Creek® nutritionist ensures animals receive all required nutrients. Rations are balanced with recent forage samples of both stored feeds and pastures. From those samples, the proper mineral supplementation can be chosen for optimum nutrition. For many producers, it works best to switch animals over to the Pasture Mineral as the grazing season approaches. In addition to feeding a properly selected mineral in the diet, providing the Pasture Mineral free-choice will make extra magnesium available for animals if needed. Knowing your high-risk fields and limiting animals grazing time on them is also helpful. Forages or pasture that test less than 0.2% magnesium and more than 3% potassium can be considered high-risk.2 Flag fields that have had heavy manure application or soil test results showing low levels of magnesium and high levels of potassium and nitrogen. Spring pasture is an excellent resource and when managed properly, can be a major contributing factor to increasing the profitability of the herd. Grazing success can be easily obtained with spring pastures if pasture growth and animal health are monitored. To learn more about spring pasture management, call Crystal Creek® at 1-888-376-6777 to speak to a knowledgeable staff member. 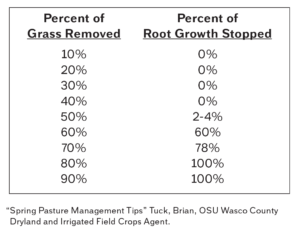 1 OSU Wasco County, “Spring Pasture Management Tips”, Tuck, Brian, OSU Dryland and Irrigated Field Crops Agent. 2 Purdue University, “Spring Pastures-Grass Tetany and Bloat”, Departments of Animal Sciences and Agronomy.